Fruit of the quince tree, which grows in countries with a Mediterranean climate, quince resembles a large yellow pear in its shape and colour. Upon maturity, it gives off a pleasant fragrance and is covered with fine hairs. Its flesh is hard and astringent when raw. This is why it is always eaten cooked, in compotes, jams (the word “marmalade” comes from the word “marmelo” which means “quince” in Portuguese), or liquor. In North Africa, it is also added to stews such as tagines. 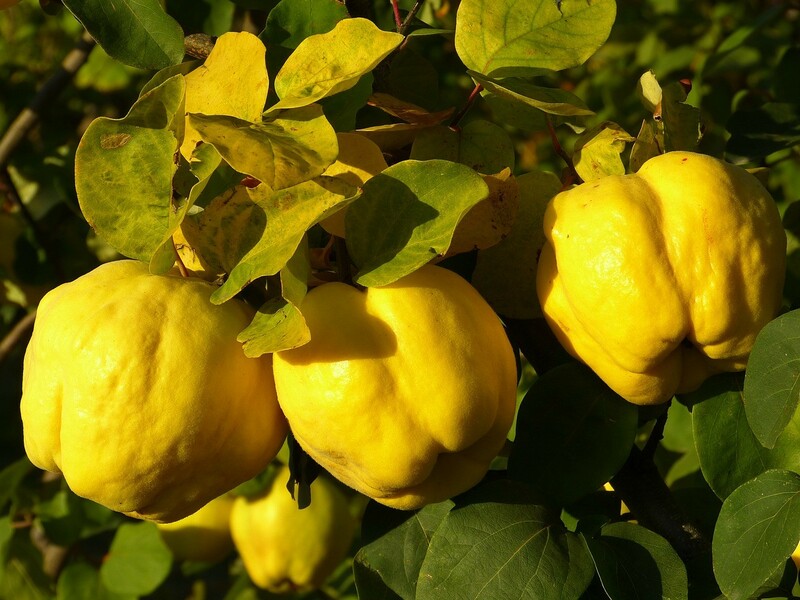 Likely to have originated on the banks of the Caspian Sea, quince was already cultivated in 4000 BC. It was highly appreciated by the Greeks, who considered it to be a symbol of fertility, and the Romans also used it in perfumes. Quince has few calories and is rich in fibre, vitamin C and potassium. It is available in autumn in the fruit stores. The fruit you select should be fleshy, firm and intact, with partially yellow skin. For a delicious and healthy dessert, cut the quinces into two, sprinkle with sugar and cinnamon and cook for thirty minutes in the oven. Originally published in the Journal de Montréal on November 17, 2012.